During the holding of the International League of Peoples’ Struggle 5th International Assembly (ILPS5thIA) in Quezon City, the ILPS Commission 6 for Agrarian Reform Concern called for intensified struggle against foreign plunder of land and state terror against people’s movements. The workshop of ILPS Commission 6 was attended by more than 50 delegates, with most belonging to various farmers and advocate groups from the Philippines, Indonesia, India, Malaysia, Kurdistan, US, Australia and Taiwan. “We declare this day as historic, as in total contrast to the Asia-Pacific Economic Conference (APEC) summit where leaders of developed countries and puppet regimes such as the Aquino administration, brainstorm on how to step up wholescale land grabbing and control over vast lands. We, the producer-farmers of the world are standing up against this malevolence of monopoly capitalism or imperialism,” chairperson of Asian Peasant Coalition (APC) and Kilusang Magbubukid ng Pilipinas (KMP, Peasant Movement of the Philippines) national chairperson Rafael “Ka Paeng” Mariano said during the workshop. Mariano is the head of the ILPS Commission 6. 1. Intensify the global people’s struggle for genuine agrarian reform. Conduct study conferences on genuine agrarian reform and on the current imperialist scheme of financialization of land and agriculture. 2. Resist all forms of imperialist maneuver in global agriculture including but not limited to the sinister agenda of G-8 and G-20 group of nations. Actively confront and campaign against the imperialist agenda enshrined in free trade agreements, bilateral free trade pacts and those being sold for political acceptance by instruments of imperialist bloc like the UN, the IMF-WB, WTO to cite a few. 3. Expose and oppose imperialist plunder, land-grabbing, and financialization of land and agriculture masquerading as Public-Private Partnership Projects. 4. Remain vigilant and active in exposing and opposing agrochemical and agribusiness transnational monopolies and stop anti-people and pro-imperialist agenda in global agriculture. 5. Fight all forms of state repression and continuing political persecution against farmers, farmworkers, dalits, peasant women and fisherfolk who pursue their democratic rights through militant struggle. Free all peasant political prisoners. Expose and oppose criminalization of agrarian cases. 6. Expose and oppose the US Coin Guide. Aggressively stage national, regional and global campaigns against the US-designed and orchestrated military plan which seeks to terrorize the struggling farmers and people of the world. 7. Expose, oppose and resist the global maneuver of imperialist led G-8 and G-20 and their free-trade campaigns like AFTA, NAFTA, CAFTA, and APEC, and the FTAAP and TPPA as well as bilateral trade agreements. 8. Reject and resist the deceptive programs of the International Monetary Fund-World Bank (e.g. the market-assisted land reform and its mega-infrastructure projects) and other multilateral organizations that are only meant to intensify peasants’ landlessness and exploitation. 9. Expose and actively debate and frustrate pseudo farmers’ organizations and NGOs masquerading as pro-farmers and pro-poor and who are serving as agents of imperialism and reaction. The ILPS Commission 6 also organized the Peasant Anti-Imperialist Solidarity (PAIS) last Friday at the University of the Philippines in Diliman, where Antonio Tujan, director of Ibon International discussed about the neo-liberal and imperialist offensive against the interest of the world peoples. 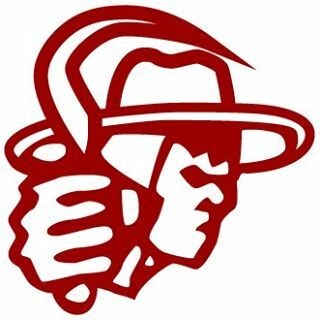 “We urge the farmers of the world not only to defend their lands from monopoly capitalism, but also to unite and through consolidated and organized actions, take over or reclaim lands that were seized from them through the collusion of puppet governments and their colonial masters,” Mariano said.